Scotland in general, and the Highlands and Islands in particular, has a distinguished history of air pioneers. One factor was the wartime military build-up in key strategic parts of the country, like the naval base at Scapa Flow in Orkney. It was Scapa Flow which during the First World War saw the first aircraft carrier. 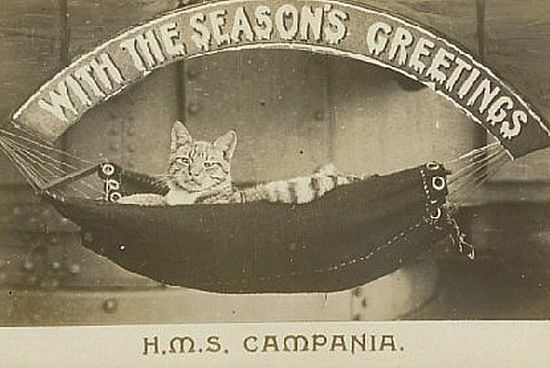 This was the former Cunard liner Campania which was fitted out with a flight deck and six seaplanes. The planes could take off from the deck, but had to land in the water and were hoisted back on board. On 5 August 1917 came the first landing in aviation history of an aircraft on a ship. HMS Furious had been commissioned as an aircraft carrier, with a speed just fast enough and a flight deck long enough for a pilot to try to come down onto it. And Commander Edwin Dunning, flying a Sopwith Pup, managed to come in over the carrier, dodge her superstructure, make a last-minute turn to windward, and touch down successfully. In the Second World War, Orkney-based aircraft were responsible for the fate of the first ship sunk in battle by aircraft alone. This was the German cruiser Konigsberg, alongside the quay in Bergen harbour. Sixteen Skua bombers from the Fleet Air Arm airfield at Hatston carried out the raid, going to the very limit of their range. In between the wars, the Highlands and Islands saw great developments in civil aviation through the vision and determination of a remarkable man. This was Captain E. E. (Ted) Fresson. He had served in the First World War with the Royal Flying Corps, and after the war had gone to China to organise the first aircraft factory there. He came back to Britain to run a company offering pleasure trips at local shows, and in August 1931 arrived in Orkney. He found local interest in aviation so strong that within two years he was running an air service between Orkney and Inverness, calling in at Thurso on the way. He formed a company, Highland Airways, starting with a twin-engined Monospar and then adding an eight-seater de Havilland Dragon. By the spring of 1934 he had the contract for the UK's first domestic air mail service. By October in that same year he was operating an air ambulance service as well. The writer Eric Linklater used to tell the story of a memorable flight with Captain Fresson. He had arrived at Kirkwall airport in a great hurry without having booked, and asked if there was any way that a space could be found for him. Eric Linklater also told the story of the time they were flying south from Wick and got lost in thick fog. Suddenly there was a break in the cloud and they spotted the tracks of the Highland Railway below them - and a station coming up ahead. And that story, says Eric Linklater's son Magnus, in the foreword to the second edition of Fresson's book Air Road to the Isles, 'would rank as one of Fresson's milder stories compared to some of those that he recounts. The sheer ability of Fresson and his utter determination to deliver a punctual and reliable air service, through all conditions of weather, won him the total respect of the communities he served and a place in aviation history. By 1939 Fresson's company, now called Scottish Airways, was operating ten aircraft, and a second company was also in the north. This was Aberdeen Airways, run by Eric Gandar Dower, who owned the new Aberdeen airport at Dyce. In addition to their scheduled services, they brought up tourists from the north of England on package holidays. But after the war, both companies were absorbed into the new nationalised British European Airways. Captain Fresson was taken on by the state company, but was soon made redundant, along with many other pilots; and BEA cut back air services and refused to continue the air ambulance service. It was only in 1967 that the Highlands and Islands began to get back again to the level of local air service that they had had in the years before the war, and this was due to a chain of events that linked two energetic northern men with two from the south of England. The challenge for developing air services in the Highlands and Islands was to develop small rugged aircraft that could take off from grassy airfields, and in the 1960s two talented designers came up with a solution. John Britten and Desmond Norman had trained with the de Havilland company and set up in business in the Isle of Wight developing crop spraying equipment. (They had also built the world's second hovercraft.) They now wanted a reliable aircraft to carry out work in a challenging environment in West Africa. They couldn't find one on the market, so designed it themselves – a ten-seater aircraft, strong and reliable and easy to maintain, needing only a short runway for take-off and landing – and easily adaptable for a myriad of uses. Meanwhile the Conservative candidate for Orkney and Shetland, John Firth, by profession a neurosurgeon, was also a pilot. He knew what had been lost when Captain Fresson's service had been discontinued after the war, and he knew what could develop for island life if a local air service could develop again. He met Britten and Norman when he joined an aerobatic flying club in the south of England; and he realised that they had come up with a design that was ideal for the terrain of the various islands of Orkney. But at the time, that was not enough – the banks would only give a loan to build the plane if there was already a firm customer order in place. At this point John Firth remembered a problem faced by another of his acquaintances, Captain Duncan MacIntosh, who was working for Willie Logan, the Muir of Ord contractor who was building the Tay Bridge. The company needed to bring in skilled men from the Highlands to work on the bridge construction. So John Firth went to see Captain MacIntosh with a sketch of a new plane on the back of an envelope – and an answer to his transport problems. So the order went through for the first Britten-Norman aircraft, which they decided to call the Islander. And today it is the best-selling commercial aircraft in Western Europe, used in some of the world's harshest environments for everything from fisheries protection to policing. Willie Logan died in 1967, just months before the new Orkney inter-island service got off the ground. But his legacy lives on nationally as 'Scotland's airline', and in Orkney as what is arguably the single biggest factor in helping the continuation of island community life. Loganair's inter-island operations provide a service for all ages, from new babies coming back from hospital with their mothers to great-grandparents setting off for a Christmas trip to family in the south. 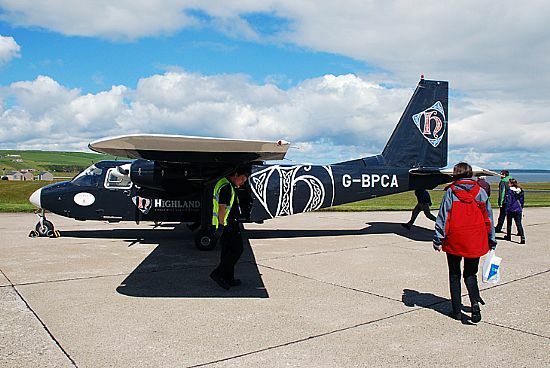 Its inter-island routes also include the world's shortest scheduled flight – the two-minute sector between Westray and Papay. Many lives have been saved by the plane's ability to take patients to hospital through darkness and storms. It is a classic example of precision development of technology – exactly the right type of technology for the need, and Scotland has played a key role in its development and application.